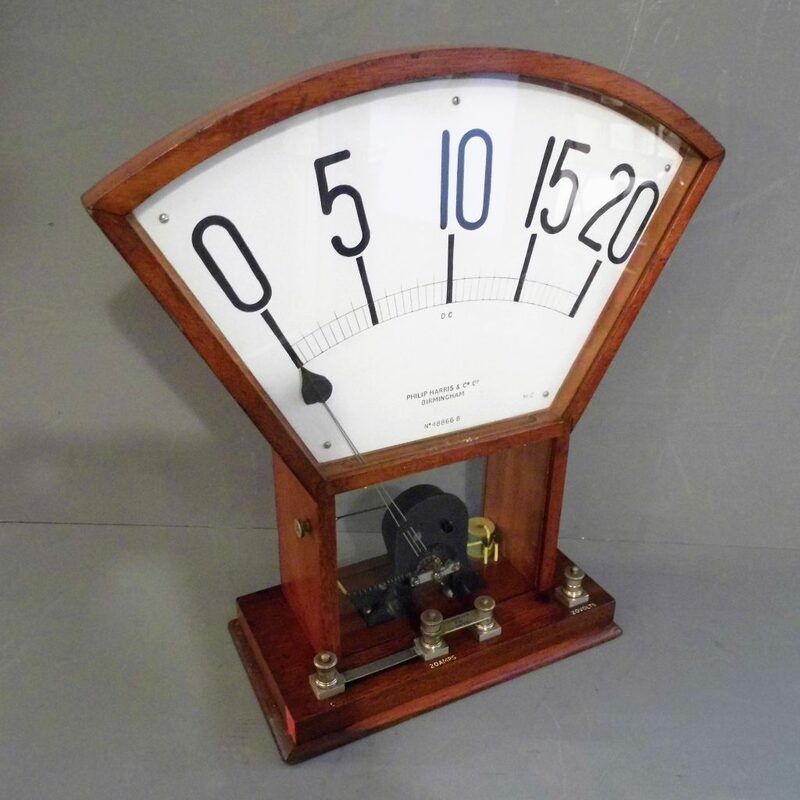 A 1930s mahogany Vintage Volt Meter by Phillip Harris of Birmingham . 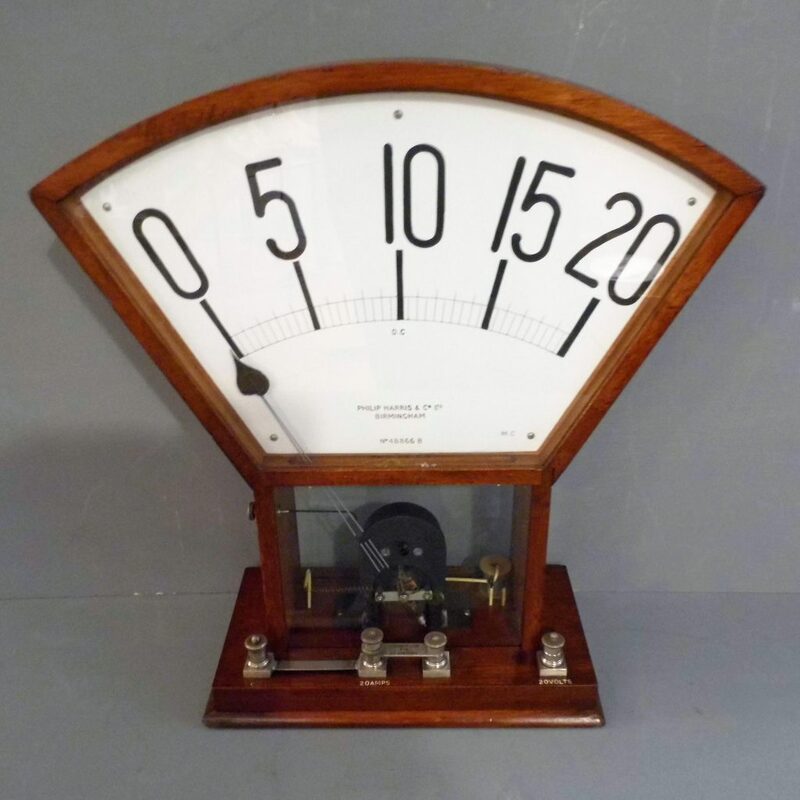 This rare volt meter looks like it has come from Frankenstein’s laboratory but in fact was used by a teacher or lecturer to demonstrate in a classroom hence the oversized dial. 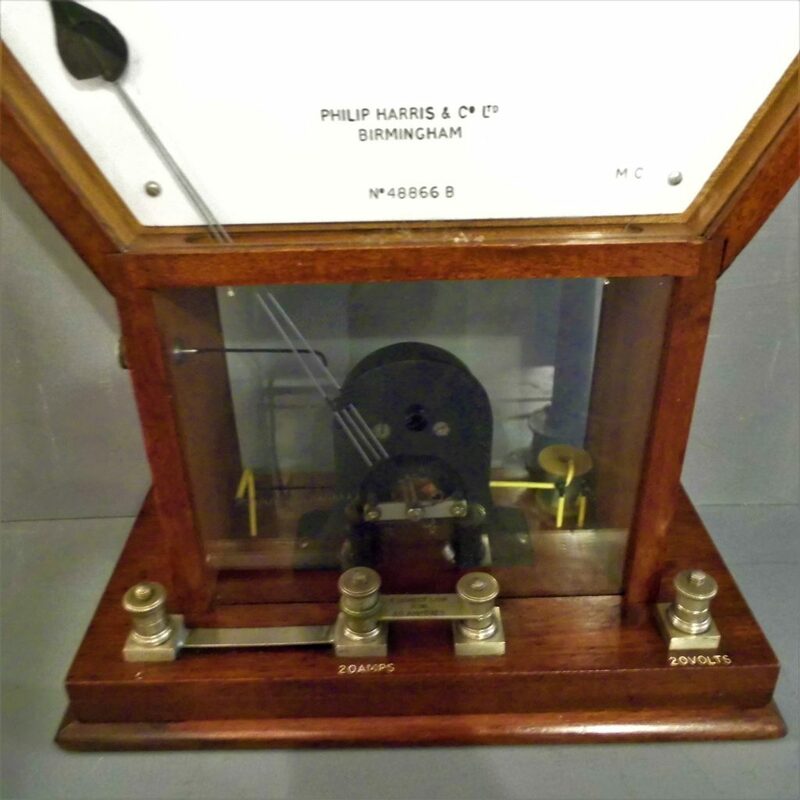 A really quirky and distinctive industrial piece this is in excellent condition . The meter does register current although I cannot vouch for it’s accuracy. It measures cm high by cm wide by cm deep.
. Please contact us for further afield. We can accept payment by credit or debit card over the phone on +442072580662, or by using the Paypal button below. Please contact us on the above number or at spkluth@aol.com if you wish to pay by Transfer, cash or cheque.